a major infrastructure plan to rebuild and enhance our transportation system. In the wake of the BP disaster, it is clear that transportation reform must move us beyond oil and promote livable communities with green transportation choices like walking, biking, public transit, and high speed rail to get Floridians where they need to go. ﻿Are you tired of congested highways and traffic jams? Would you prefer to walk or bike but are afraid to get out on our unsafe roadways and bike paths? If so, we need you to write letters to the editor to focus public attention on the need to invest in 21st century transportation infrastructure that will not only create jobs but will provide transportation choices that move us beyond oil. Florida's pedestrian fatality rate consistently exceeds the nation; often ranking the highest among the 50 states. We need safe walkways and bike paths. Floridians are tired of congested highways, inadequate public transit and unsafe bike paths and walkways. 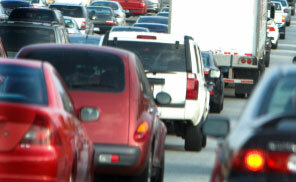 We need the Administration to move swiftly in implementing much-needed transportation reforms. We can't end our oil dependence until we emphasize convenient transportation choices that reduce our need to drive like passenger and freight rail and public transit and focus on maintaining the roads and bridges we have instead of building more roads and bridges that we don't need. A recent report released by the White House Council of Economic Advisors and the Department of Treasury shows that investment in public transit infrastructure is in high public demand and will create jobs for the middle class.